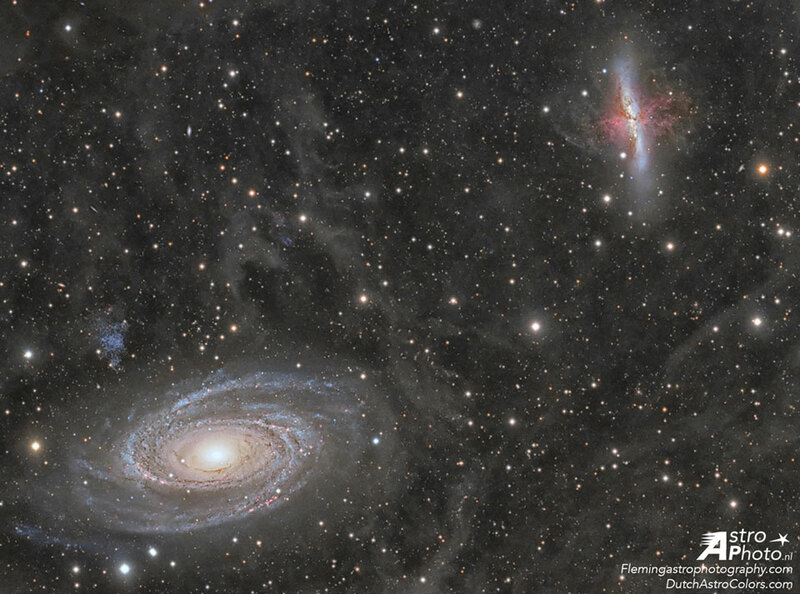 Explanation: In the lower left corner, surrounded by blue spiral arms, is spiral galaxy M81. In the upper right corner, marked by red gas and dust clouds, is irregular galaxy M82. This stunning vista shows these two mammoth galaxies locked in gravitational combat, as they have been for the past billion years. The gravity from each galaxy dramatically affects the other during each hundred million-year pass. Last go-round, M82's gravity likely raised density waves rippling around M81, resulting in the richness of M81's spiral arms. 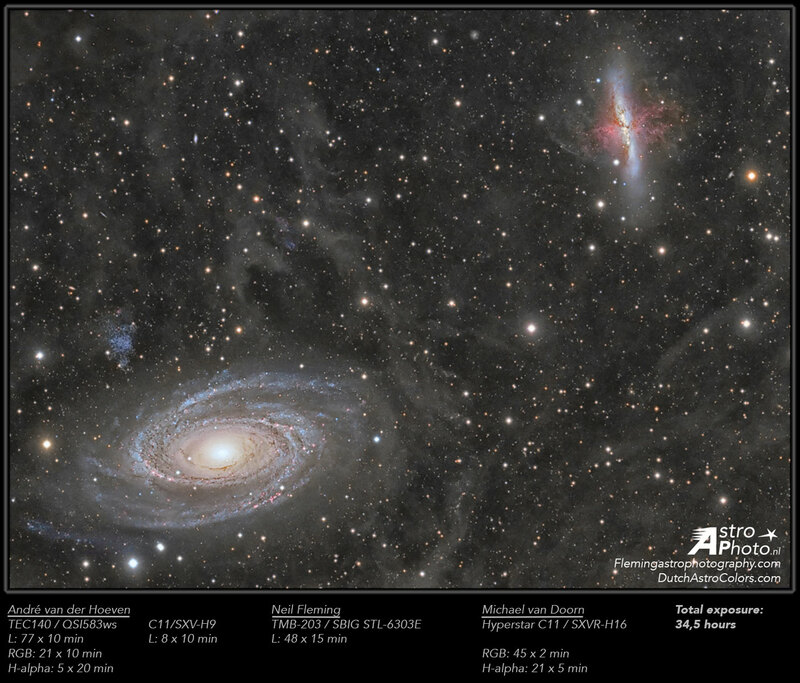 But M81 left M82 with violent star forming regions and colliding gas clouds so energetic the galaxy glows in X-rays. This big battle is seen from Earth through the faint glow of an Integrated Flux Nebula, a little studied complex of diffuse gas and dust clouds in our Milky Way Galaxy. In a few billion years only one galaxy will remain.